The next time you have guests over to visit, or simply feel like indulging your own cravings, make this drool-worthy macadamia nut recipe. The chewy meringue combines with crunchy nuts and sweet caramel to leave your mouth in awe after every bite. Use high-quality coffee and macadamia nuts from Hawaii’s Local Buzz to create this luscious treat. While your oven is preheating to 225F, simmer water in a double-boiler. Then, add the egg whites, caster, and muscovado sugar to the top of the double boiler, and stir constantly until the sugar forms a syrup. If any grainy sugar remains, keep heating and stirring until it’s dissolved. When the sugar is dissolved, stir in the teaspoon of espresso. Remove the bowl from the double-boiler, and use a hand mixer to whip the egg and sugar mixture on high speed for 10 minutes. 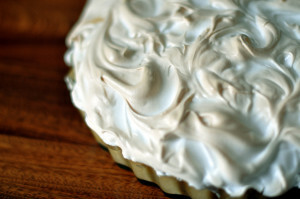 Spoon the meringue onto a parchment-lined baking sheet. Form it into a circle that’s about 10 inches wide, with a depression in the center. Whip the cream and espresso, and spread it over the meringue. Top with the caramel crunch, and enjoy. Visit Hawaii’s Local Buzz to learn about our delicious ingredients for this drool-worthy macadamia nut recipe.